Earlier this week, Pakistan was added to the list of Countries of Particular Concern under the International Religious Freedom Act in light of the landmark blasphemy case against Christian mother Asia Bibi. 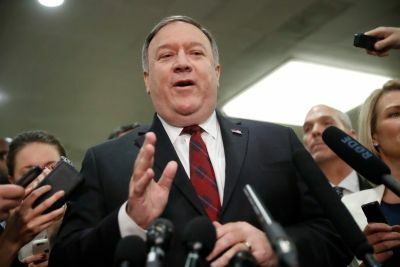 In a press briefing at the State Department December 11, Ambassador at Large for International Religious Freedom, Sam Brownback, addressed the press on the latest religious freedom designations made by Secretary of State Mike Pompeo. Following her acquittal on October 31 on bogus blasphemy charges, Asia Bibi was transferred from her squalid jail cell in Punjab province to an undisclosed location in the Pakistani capital of Islamabad. She is being held under armed guard as a precaution, due to the threats made on her life by Islamist radicals. Bibi’s ability to fly abroad remains a key issue in this case, as the stricken mother attempts to seek asylum in the West. The government has issued mixed messages about her freedom of movement, initially saying that it had struck a deal with radical clerics and ordered that the embattled woman be placed on a no-fly list. More recently, however, a spokesman for the Pakistani Foreign Office suggested that Bibi was free to leave. The Supreme Court is currently reviewing an appeal lodged against its acquittal ruling. The outcome of this appeal is likely to have significant implications regarding Bibi’s capacity to achieve safe passage away from Pakistan. So far, Bibi’s husband Ashiq Masih has appealed for help from several nations including the UK, US, Canada, with no success. Safe to say, the Pakistani government was not at all happy about being demoted to such a condemning list. 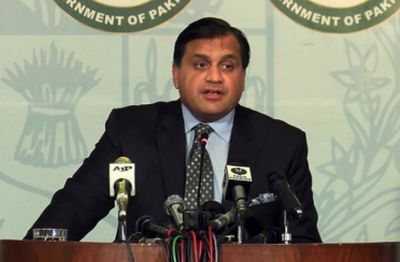 The Foreign ministry claimed it was a “politically motivated” move from the US, and argued that Pakistan was a “multi-religious and pluralistic society where people of diverse faiths and denominations live together,” directly refuting the State Department’s remarks. China, Eritrea, Iran, Myanmar, North Korea, Sudan, Saudi Arabia, Tajikistan and Turkmenistan were also included in the list of countries accused by the United States of engaging in severe oppression of religious freedoms.